Jim Klug, founder and Director of Operations for destination angling specialists Yellow Dog Flyfishing Adventures has worked in the fly fishing industry as a guide, sales rep, travel coordinator, photographer, filmmaker, and as past National Sales Manager for Scientific Anglers and StreamWorks. He has guided extensively in Montana, Colorado, New Mexico and Oregon, and has fished waters throughout the world in more than 35 countries. Jim Klug has guided extensively in Montana, Colorado, New Mexico and Oregon, and has fished waters throughout the world, including the Bahamas, Belize, Nicaragua, Honduras, Mexico, Argentina, Chile, Brazil, Costa Rica, Alaska, Canada, the US Virgin Islands, British Virgin Islands, Cuba, India, and more. If you want to learn about the best places to go, where you get the most bang for your buck and how to make do-it-yourself trips successful you'll want to listen the this show. Jim Klug, photographer, guide and travel coordinator, takes us on a tour of Belize from the northern waters of Ambergris Caye, to the pristine waters of Turneffe Atoll, all the way south to Hopkins, Placencia and Puta Gorda. Join us to explore Belize! Jim is the primary copywriter and photographer for the Yellow Dog catalogs and website as well as the Executive Producer for Confluence Films. (Makers of DRIFT, RISE, CONNECT and WAYPOINTS). 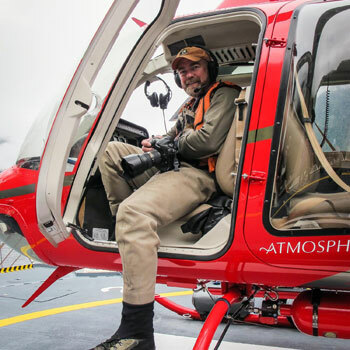 Jim’s writings and photography have appeared in dozens of national magazines and publications, and his first full-length book - Fly Fishing Belize - was released in 2015. HIs work and galleries can be viewed at www.KlugPhotos.com. Jim lives in Bozeman, Montana with his wife Hilary, daughter Carson, and sons Finn and Waylon Augustus. To learn more about Jim Klug’s travel services through Yellow Dog Flyfishing Adventures, visit his website, www.YellowDogFlyFishing.com.